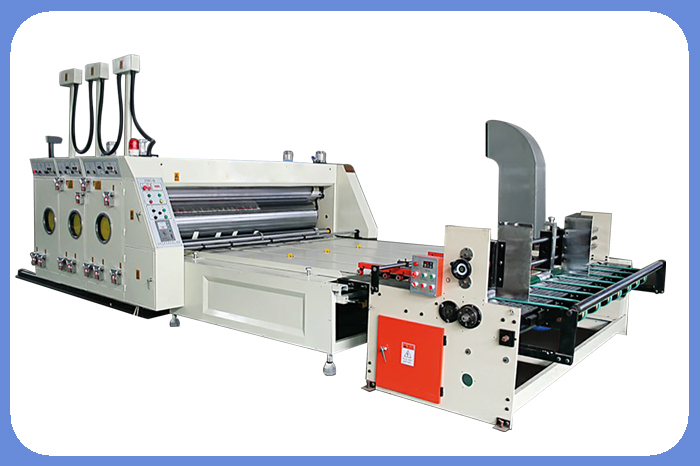 Our company has developed ZYM series of roller printing and die-cutting machines, which is a new ideal production equipment in carton production industry in recent years. 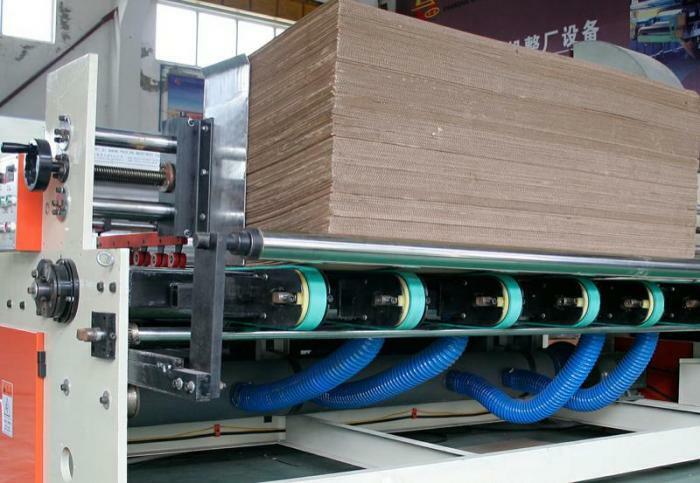 The device is mainly the automatic document feeder board, printing, slotting, corner cutting, trimming, drilling (any shape), and other procedures forming a printing and die cutting equipment, the compact mechanical structure, simple operation, adjustment convenient, advanced performance, high efficiency, ensure that processing of high-grade cardboard carton production industry an ideal replacement machine. Suitable for a variety of shaped cardboard boxes or cartons. ● Cardboard size adjustment adopts screw roller adjusting system, one man operating, simple and fast. ● Available for adjustable paper platform, more adaptable for kinds of cardboard, stable and precise paper feeding. ● Adopts advanced seamless rubber strap, which has big friction, long life, low voice, easy maintenance and high economic efficiency. ● Double stretch power control, convenient and reliable. 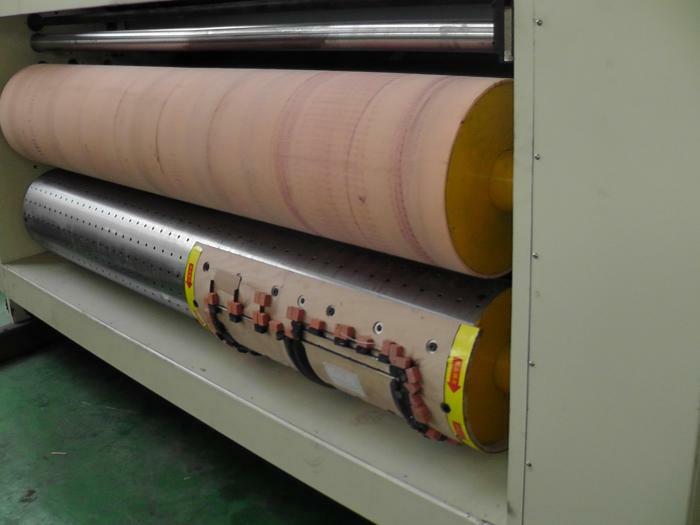 ● Transmission roll adopts decorative design roll, which increase the friction between strap and roll, ensure stable and fast cardboard feeding. ● This machine includes electric and magnetic clutch separating brake system. ● This machine adopts PLC auto program control, so it has high automatic extent. ● Frequency converter drives motor to realize stable velocity change operating. ● Light and electric signal brakes by PLC control power and magnetic clutch to keep pace with the main engine. – The prop fixes position, ensures that paper feed is accurate. 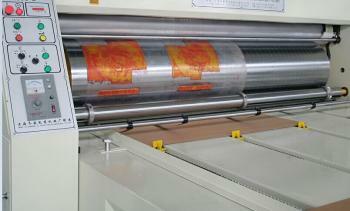 ● The embossing rollers get apart from printing template once machine stops. 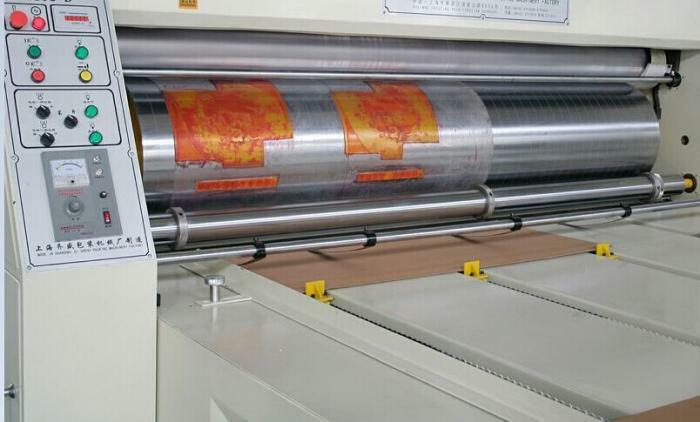 ● The upper ink roller is equipped with load-free system that prevents ink from getting dried when machine is running. ● Colors of 1 to 4 can be combined easily. ● The pneumatic provides ink circulatory system from attracting style. ● Top-quality paper separating and grooving blades are used. ● Printing roller equipped with a rapid hang mould device. ● Step pedal is used to control the side of printing plate when in mounting and dismounting. – The planetary gear structure. – The figures show that the phase-type instructions, to make operation more convenient, intuitive and accurate. – Cutting the use of electric digital phase adjustment of 360 degrees (run, stop can be adjusted.) Modulation accuracy of 0.10 mm. Electric grinding bodies can be repeated 2-3 times. wear can greatly improve the life of the cot.